PhotoShare: Another one bites the dust! Here is a quick one from our first morning on safari. This was the first time in my life I had witnessed this kind of behaviour, which is called "geophagia" (definition thanks to my friend Grant Atkinson, an amazingly talented photographic safari guide in Botswana). 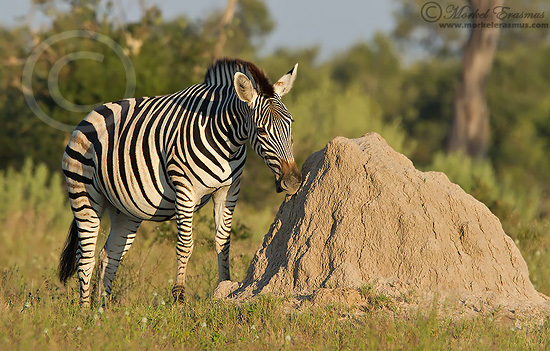 This Plains Zebra (Burchell's Zebra) was biting chunks off a termite mound in order to supplement her diet with specific nutrients. I am in the process of doing a full trip report so hang in there! !